For every pregnant woman, health is a concern that is topmost on her mind. Is my baby growing well in my womb? 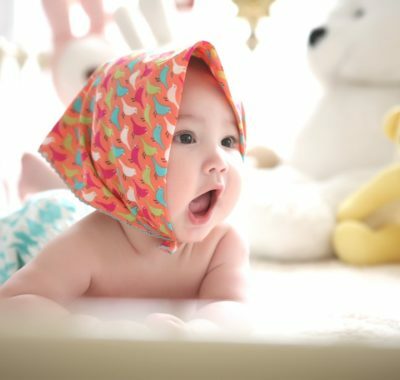 How can I ensure that my body is providing my baby with optimum nutrition to develop? 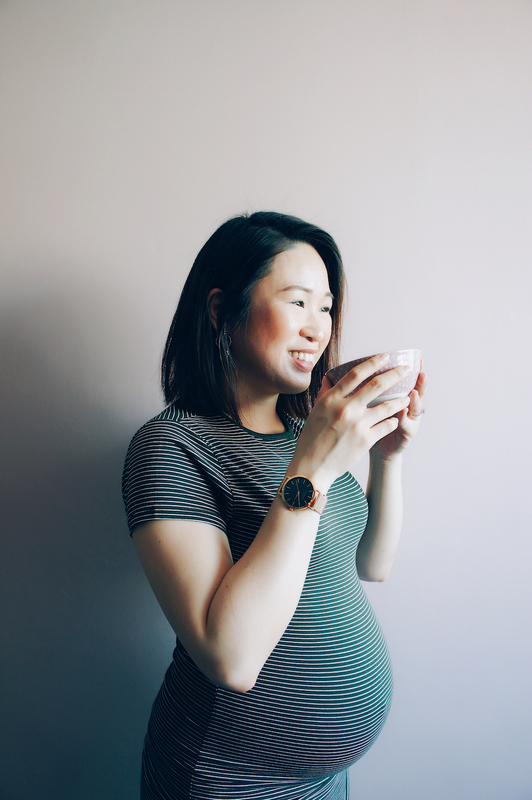 While you are eating for two (and ensuring that whatever you consume is the best for you and your foetus), why not drink for two — and provide both of you and your baby with the best liquid nutrition as well? Celebrities such as Xiang Yun, Carrie Wong, Xia Xue, and Fann Wong have already raved about Tian Yuan Xiang Chicken Essence. They’ve also recommended it to their fellow celeb mums. In fact, when it comes to pregnancy nourishment, lactation and confinement, many people in Asia think immediately of Tian Yuan Xiang Chicken Essence. Tian Yuan Xiang is an international brand with more than 20 branches world-wide, including Taiwan, Hong Kong, Macao, China, and Singapore. Completely natural, with no chemicals, Tian Yuan Xiang’s Double-boiled Chicken Essence (滴鸡精) has become Singaporean mummies’ health supplement of choice — not just while pregnant, but also during confinement, while breastfeeding, and beyond. For pregnant mums-to-be, Tian Yuan Xiang Chicken Essence with Nourishments (石斛滴鸡精) is a clear choice. 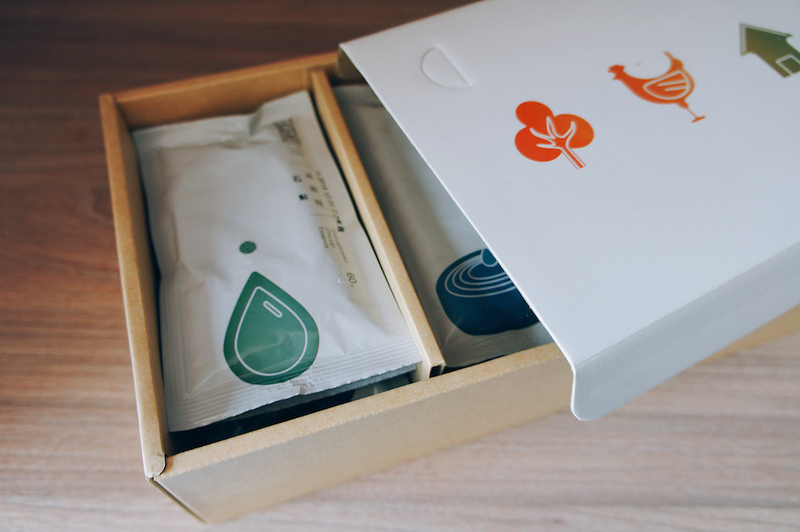 Each box contains 20 individually packed sachets of frozen chicken essence. Don’t let the modest size of the sachet fool you. 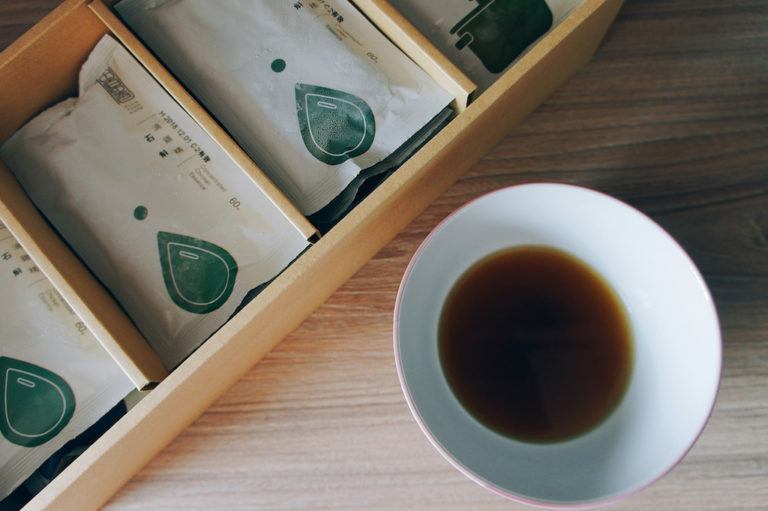 Each is packed with a powerful concoction of nutrients – lovingly brewed using at least three and a half organically-reared chickens and nourishing Chinese herbs such as Dendrobium Nobile (石斛), Ophiopogonis Radix (麦门冬), Solomon’s Seal (玉竹), Lilii Bulbus (百合), and Chrysanthemi Flos (菊花). These nourish the Yin and replenish body fluids, relieve internal heat, boost skin care, supplement Qi, and moisten lungs. 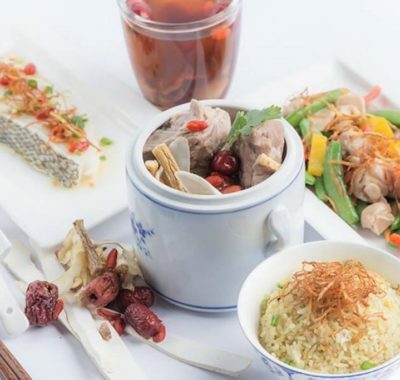 Hence, Tian Yuan Xiang Chicken Essence with Nourishments is not only great for combating pregnancy-related fatigue and heatiness, but also suitable for nourishing the entire family. “I learnt about Tian Yuan Xiang chicken essence through mummy groups I joined after I got pregnant. Many of the mummies found out about it through Taiwanese variety shows and became converts after learning about the benefits of consuming chicken essence during pregnancy. I have been pretty lucky in my pregnancy journey so far. 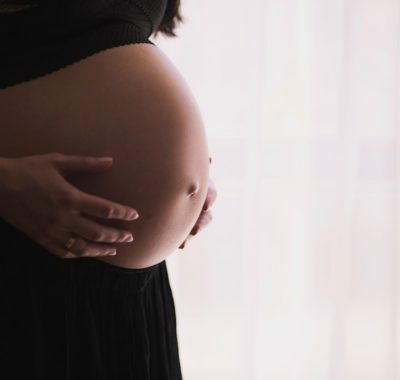 I was spared morning sickness in my first trimester, although I did experience bloating and extreme fatigue. My second trimester was almost perfect save for some aches and heartburn. But as I embark on my last trimester, I can feel the fatigue I experienced in my first trimester creeping back. What better time than now to test out the revitalising benefits of Tian Yuan Xiang’s chicken essence, right? Tian Yuan Xiang Chicken Essence: A Good Pregnancy Companion indeed! Preparing the chicken essence for consumption was a breeze. The chicken essence is packed in individual packets, one serving per packet. All I had to do was to take one packet out of the freezer, pop the contents into a bowl, put it into the microwave for one to three minutes to heat it up, and it was ready. I didn’t even have to defrost it! I’ve heard that Tian Yuan Xiang’s chicken essence smells just like a bowl of fresh chicken soup and that was exactly the scent that filled my kitchen as I removed the bowl from the microwave. The chicken essence was subtly fragrant, not pungent and overly salty smelling like some of the bottled ones sold elsewhere. The rich, brown liquid didn’t just smell like good chicken soup. It tasted like the real thing, with the pure, concentrated goodness of the chicken’s essence. While I did not feel an immediate boost of energy after drinking it, I did notice a slight dip in the fatigue I have been feeling lately during the day. 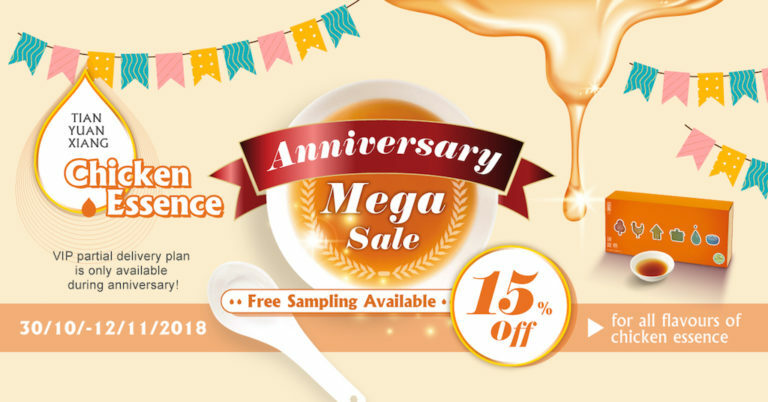 Tian Yuan Xiang is celebrating its anniversary from 30 October to 12 November 2018 and there are deals galore for you in-store! This is the best time to stock up on Tian Yuan Xiang Chicken Essence for the family! First, you can enjoy 15% off all chicken essence flavours. In addition, there’s no need to worry about freezer space either, as you can collect your purchases partially. Furthermore, every two boxes of Tian Yuan Xiang Chicken Essence that you buy entitles you to one free delivery. This post was brought to you with the help of several invigorating bowls of Tian Yuan Xiang chicken essence.